Why Should I Use Native Plants In My Landscape? When shopping around for a koi pond, whether your building it yourself or hiring a contractor, you may run into some unfamiliar territory. After thinking long an hard about mistakes of koi pond shoppers, we have come up with our top two biggest mistakes that koi pond shoppers make. Sure, lower prices are a huge draw for many koi pond shoppers, but as with everything; you get what you pay for. Let’s say you are shopping around for a pump for your koi pond, the $49.00 pump sure looks a lot better to your wallet than the $1600.00 pump. However, what you really need to consider is the quality of the product, warranties, design & function, and also look at reviews of the product. This can also be said for koi pond contractors. What you are paying for when hiring a koi pond contractor is experience. Do your research! If your looking for product, make sure you look at all the reviews; good and bad, try not to base your decision on price alone. If you’re hiring a contractor make sure you also look for any reviews of the company and make sure to see their previous work; that they build ponds day in and day out. It would be even better if you can go to one of their installed koi ponds. Or see if you can visit a few to get an idea of what you like, and what you don’t like. This will also give you a better look at the ‘pond lifestyle‘! 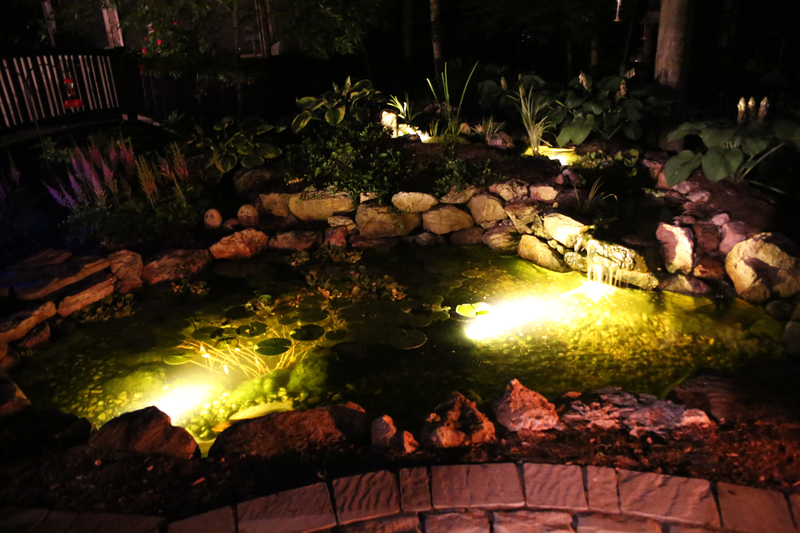 Almost any landscaping company will tell you that they can build a pond or water feature. They may be able to build them, but again, it’s quality that is truly important here. If a landscaping company tells you they could build an 8×11 pond for $2500.00, you’ll want to do more research. We’ve seen the lower the price of a koi pond or other water feature, the lower the quality of the pond and the new koi pond owner also tends to have a lower level of happiness with their new pond. Make sure your koi pond contractor is a Certified Aquascape Contractor, even better if they are a Master Certified Aquascape Contractor. 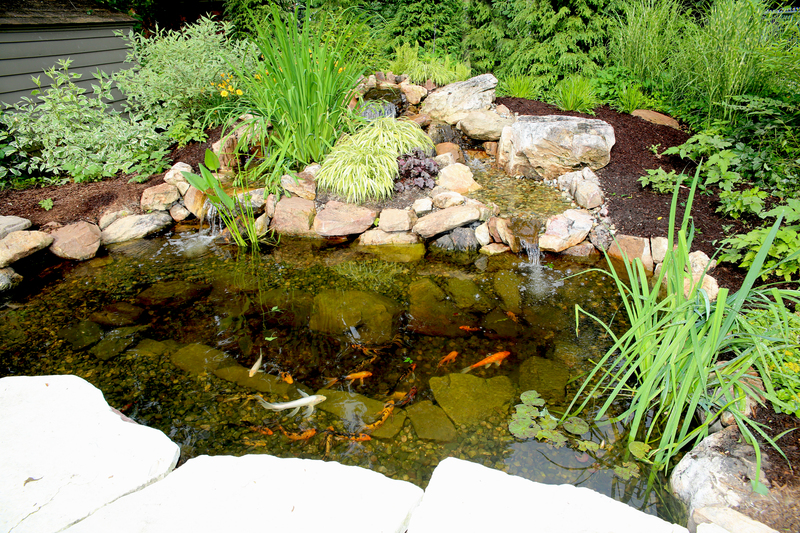 Certified Aquascape Contractors know exactly how to install and maintain koi ponds. They go through hands on training and learn everything it takes to build a quality ecosystem pond. Better yet…Certified Aquascape Contractors never stop learning! They attend a week of continuing education every year…but more importantly, every new pond built is taken as an opportunity to learn something new, because no two ponds are alike! If you’re shopping around for a koi pond make sure to check us out on Houzz, Facebook, Pinterest, Google+, and Twitter! Check out some of our previous projects, and also check out Ponds 101, which will answer many frequently asked questions.